The Shades of Blue TV show has been cancelled by NBC, but there is some good news. The network has announced the third and final season of Shades of Blue premieres on NBC, Sunday, June 17, 2018 at 10:00pm ET/PT. An NBC crime drama, Shades of Blue stars Jennifer Lopez, Ray Liotta, Drea de Matteo, Dayo Okeniyi, Vincent Laresca, Hampton Fluker, Sarah Jeffery, and Sarah Jeffery, with Nick Wechsler recurring. The mystery thriller follows Harlee Santos (Lopez) and her work “family” of Brooklyn detectives, including the enigmatic Lt. Matt Wozniak (Liota), whose shades of blue skew grey. STREET SMART POLICE DRAMA ‘SHADES OF BLUE’ SET TO PREMIERE SUNDAY, JUNE 17 AT 10 P.M.
UNIVERSAL CITY, Calif. — April 4, 2018 — “Shades of Blue,” which stars Jennifer Lopez and Ray Liotta, will premiere its 10-episode third season on Sunday, June 17 at 10 p.m. ET/PT. The critically acclaimed drama will conclude after three seasons as the storyline brings Lopez’s complex character to a fitting resolution. Her NBC relationship continues in June with the return of the second season of the explosive hit competition series “World of Dance” amid a busy slate of film and television projects and her residency in Las Vegas. 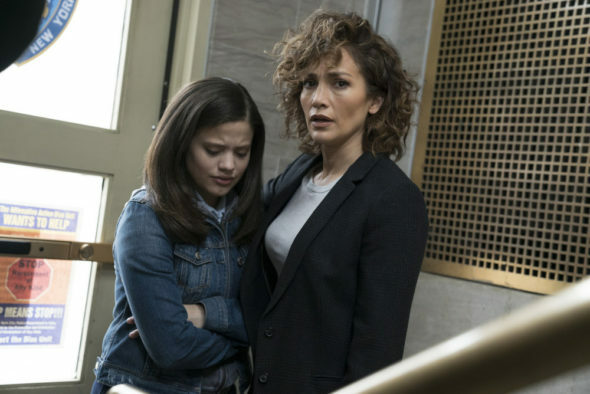 Last season “Shades of Blue” averaged a 1.4 rating in adults 18-49 and 7.0 million viewers overall in “live plus seven day” figures from Nielsen Media Research, to improve is Sunday 10 p.m. timeslot by +17% versus NBC’s year-earlier results in 18-49 (1.4 vs. 1.2) and by +1.9 million viewers overall or +37% in total viewers (7.0 million vs. 5.1 million). “Shades of Blue” won the slot among ABC, CBS and NBC in every key demographic – adults, men and women 18-34, 18-49 and 25-54. The cast includes Drea de Matteo (“Sopranos,” “Sons of Anarchy”), Dayo Okeniyi (“Terminator: Genisys,” “Hunger Games”), Vincent Laresca (“The Aviator,” “Fast and Furious Tokyo Drift”), Hampton Fluker (“Aquarius,” “The Blind Side”), and Sarah Jeffery (“Rogue,” “Wayward Pines). Nick Wechsler (“Revenge,” “Chicago P.D.”) is a recurring guest star. Showrunner Jack Orman (“Men of a Certain Age,” “ER,” “Pan Am”) and Jennifer Lopez (“The Boy Next Door,” “The Fosters”) serve as executive producers along with Elaine Goldsmith-Thomas (“Extant,” “The Fosters”), Benny Medina (“The Boy Next Door,” “The Fosters”), Ryan Seacrest (“Keeping Up with the Kardashians,” “Shahs of Sunset”) and Nina Wass (“Mixology,” “Golden Girls”). What do you think? Are you a fan of the Shades of Blue TV series? Is it ending at the right time? If it were up to you, would NBC cancel or renew Shades of Blue for season four? Sound off, in the comments. So so sad this ended….Loved this show! please bring back or Netflix please bring on Shades of Blue! One of the best shows ever ! PLEASE RENEW !!!! I am very disappointed that Shades of Blue will not be renewed, at least it had a “finished” ending. I felt that it was very realistic. Love you Ray Liotta!! I am sad as sad can be this was a really different take and twist on the inside look of New York detectives and the things they have to do to make the law work I really love J.Lo and Ray Liotta and it’s a great crew I wish we can get a season 4 without JLo sadly or maybe a movie…please please bring it back!!!!! I loved Shades of Blue and felt it was one of the best copy shows ever. I watch all of the cop shows and this one has my vote for best! I wish it was not being cancelled! Great job to all of the cast!